Is there a trick to remove the smell of past uses from the plastic shake bottle? My plastic shake bottle now has a bit of a nasty smell in it from all its past uses. And no matter how I try to clean it, the smell doesn't go away. Don't get me wrong. It's not so bad that I couldn't live with it. It would just be nicer if I didn't need to. Did anyone find a trick for that? Hi @Evert, thanks for your feedback. We'd be happy to send you a new, fresh shaker. Also, we're curious the hear whether this is a common issue. So to everyone, if you're experiencing the same, let us know! Hey Frank! I think this is a common issue - I am experiencing the same. This does not happen if you use the shaker every few days, but if you leave it for longer (1-2 weeks), the smell is impossible to get rid off. @Frank_Official, thanks for the offer, but I think that would be a bit wasteful. I already have two shakers and I'm sure the new one would start to smell within two weeks. As I said I can totally live with it, because it doesn't affect the taste of the shakes at all. So I'd rather just wait until someone mentions that they found a way to clean the smell out of the plastic. And if that never happens then that's also fine. Yes there's a trick. Immediately after drinking your shake (on a new shaker since you wont get rid of it on the old one), go fill it with water, shake it up... repeat until most everything is gone. Then you can wash it when you get home. I've actually done a decent job of almost clearing the smell when I don't immediately rinse it. If I leave a shaker in my car on a hot day or two (I live in Florida, so it bakes in there)... I fill the shaker 3/4s with water then add dish soap. I shake it up and leave the dish soap water in there for a couple days. Then I'll do it again with cleaner water. This time leaving it for maybe 5 days.. After I throw it in the dishwasher and it seems to be pretty much gone. I can only start to imagine the smell after leaving your shaker in a hot car for two days god. Mine isn't smelly, but you can definitely smell it's used for Jake. Always make sure it's well dry and leave the lid off so any remaining water can evaporate. I can send one to you so you don't need to imagine it. 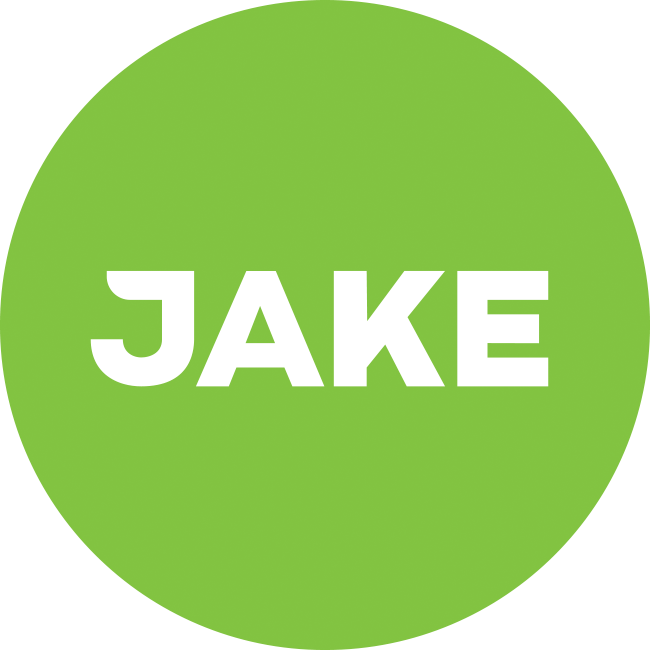 I can confirm my shaker(s) also smell like Jake - but not in a bad way. Smells like the powder does, no worse, no better. I do find the shaker harder to get clean since they changed the formula around mid-2016 (when the whole seeds were removed). Not a big issue, but I figured it's worth mentioning. I order a new shaker every 3 or so months, but I do still have an old one (black lid) that smells fine. Just gotta keep it clean. @Rupus haha thanks for the link. I tried some, but not all, of those tips, so I will try the other ones as well! @Evert Any luck so far? @Nico, it's funny, I hadn't actually tried anything yet, but for some reason my shake smelled a lot better this morning. And there's only one thing I did differently last time, so I'm wondering if that did something. Fill my shake, drink it while working (this takes 30 to 60 minutes), fill it with soapy water directly afterward, clean it the next day. I filled my shake and when I started drinking it I changed my mind and wanted to eat something else. So I put my full shake in the fridge and left it there for a full day. The next day I drank it and did my normal routine again of filling it with soap-water afterwards and cleaning it a day later. I really don't get why this would improve the smell, but it definitely is smelling a lot better now. Hi! Yeah I got into the same problem after two months of usage. I do always clean the container properly after usage (if at work) or immediately when I get home. To get rid of the smell however I fill the shaker with hot water, add lemon juice, and close it properly. Leave it to cool down, then shake a few times before emptying it and rinsing it with clean water. Works for me!